If Michael Benjamin Lerner has given us nothing more than an opportunity to nudge the word “effluxion” into the common vernacular, it is still a crowning cultural achievement. To truly appreciate this minor linguistic marvel, you need to say the word out loud -do this right now, wherever you are; it’s worth the stares. It comes from the Latin term meaning “to flow,” and pronouncing it is the closest you will ever come to feeling like you’re in an episode of Star Trek. But he has given us much more than that. 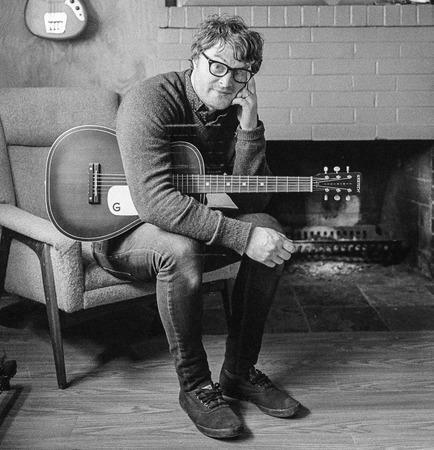 The fifth full-length album he’s recorded as Telekinesis is perfect, unfussy power pop-romantic and hopeful and skittish and fresh and familiar, with hooks in all the right places. He called the album Effluxion because he too found the word a little alien when he first heard it in passing, but it also captured the spirit in which the album was made. “I looked it up and it felt really indicative of the way this record ended up working,” he says. “Everything just started kind of flowing out.” Effluxion is, in the purest way, a back-to-basics album – not just in its reaffirmation of the sound and style that made Lerner an indie wunderkind a decade ago at age 22, but in the way it was created. Using the same now-discontinued MacBook microphone he used to record his earliest tracks, he holed up in the basement of his West Seattle home and put the album together piece by piece over the past two years, playing every instrument. Ten years into what will be a long career destined to be studied and mined the way he studies and mines those of the bands he loves, Michael Benjamin Lerner is as much a medium of power pop as a manufacturer. Telekinesis has internalized the science of catchiness and understands on a cellular level what makes certain kinds of songs evoke certain kinds of chemical reactions. Hooks flow in, hooks flow out.